After a series of acquisitions, Winchester’s brand was diluted and its messaging fragmented. The company needed to strategically assess its sub-brand relationships and brand architecture. A long-respected name in interconnects, Winchester had slowly grown through years of acquisitions and technology advancements. This expansion helped to create a more powerful business offering, but also complicated the organization’s story and vision. The lack of a unified story had left many customers and prospects unaware of Winchester’s full capabilities, and the original Winchester brand had become weakened. 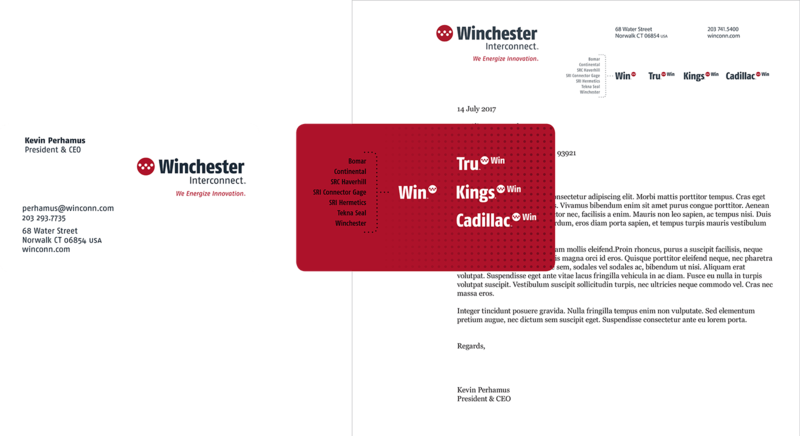 The Winchester rebranding was a research-driven process centered around internal interviews with the company’s management and with key customers. In addition, Duality audited major competitors to determine their position in the market and brand approach both from a verbal and visual perspective. This research helped us define a sweet spot for the Winchester brand, one that is distinct from competitors, reflects Winchester’s full capabilities and meets the needs of their customers. Duality developed a brand architecture that strengthened the Winchester master brand, while retaining the value of high-equity sub-brands. Sixteen sub-brands were consolidated to four with an endorsed strategy—now all connected by Win. A previously complicated system of internal group names and business units was streamlined to four product categories. 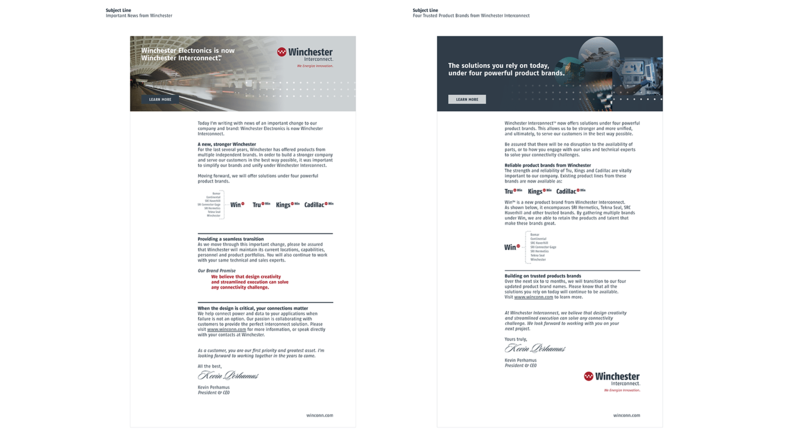 Previously Winchester Electronics, the brand qualifier changed to Interconnect to more accurately describe their offerings and expertise. In addition, Duality recommended an endorsed naming strategy for high equity sub-brands, linking all of brands through the word “Win” both in writing and in identity treatments. Duality recommended a new identity that uses a deep red color, and a symbol that forms an abstracted “W,” an iconic expression of connector pins. This same symbol works as a connector between sub-brand names and Win, visually unifying the master brand and sub-brands. Winchester’s tagline reinforces the fact that they are a crucial partner in their customers’ innovations. 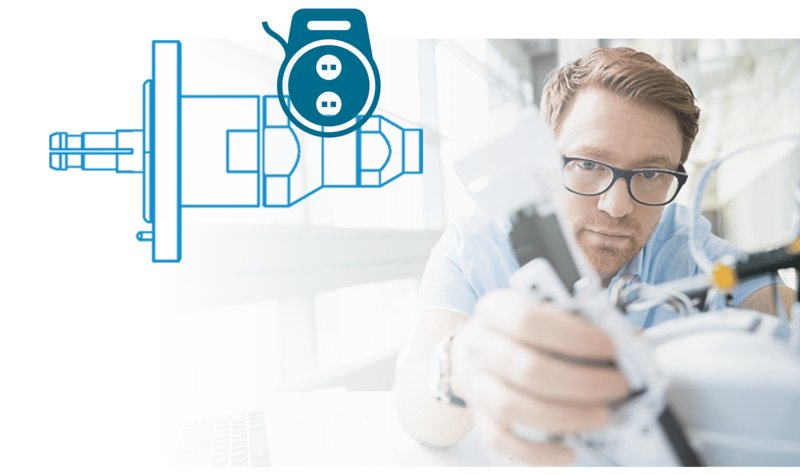 Winchester’s technology and expertise energize the world-class applications their customers develop every day—they rely on Winchester connectors to provide power and data to their designs. Winchester needed a full verbal platform, including brand attributes, brand promise, positioning statement and key messages. A comprehensive verbal strategy gave the entire company a consistent understanding of how the new brand should sound and feel in writing. Captured in the brand guidelines, the verbal platform informs all materials created by the internal creative team at Winchester. Duality’s design team used research to guide their development of a full visual platform, including typography, color palette, photography, grid systems and business systems. The new look/feel strengthens the master brand, while clearly unifying the acquired product brands under Winchester. Duality designed a series of pieces to help Winchester launch with a fully formed brand. 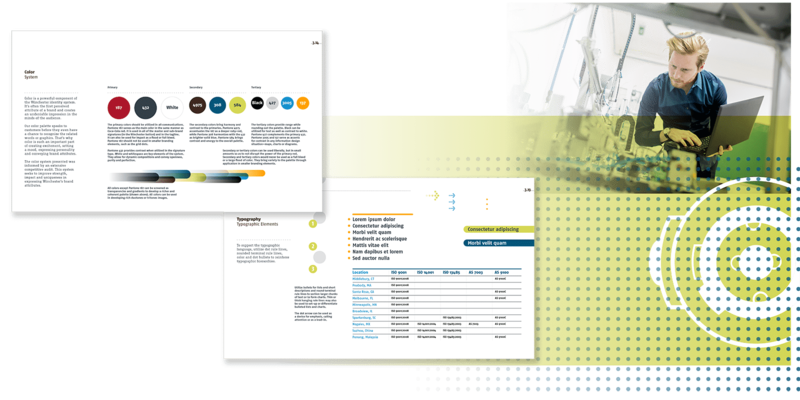 The company had a complicated system of collateral and technical sheets that needed to be streamlined and redesigned. 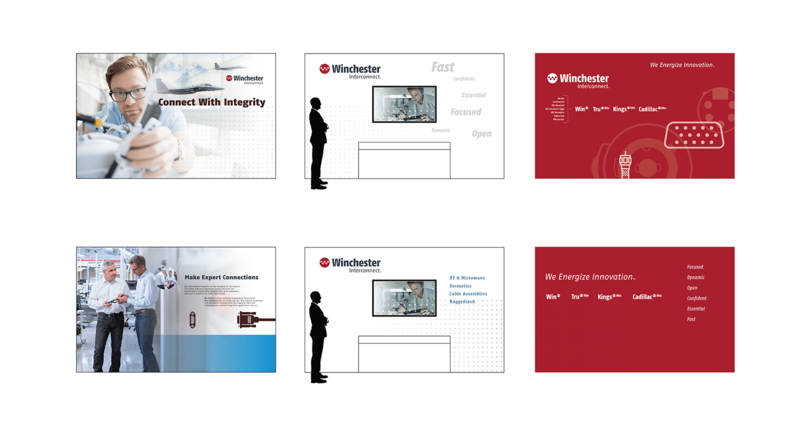 Duality also created a series of inspirational pieces, such a brand vision book and brand essence video, to energize Winchester teams around the world during the internal brand launch. Duality collaborated with a web development partner to re-skin the Winchester website. Design and content were updated, including the addition of educational brand messages, while product ordering functionality continued without interruption. 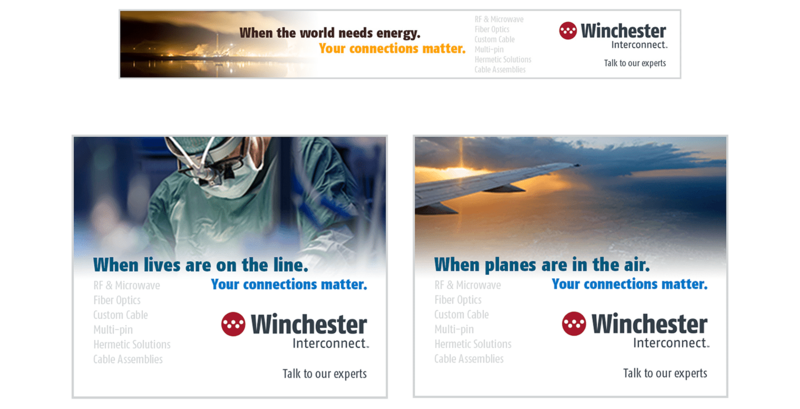 A fully realized Winchester Interconnect brand launched internally in October 2017 with a global brand show and externally in January 2018 with an integrated, international digital campaign. In October 2018, Winchester Interconnect was acquired by Aptiv of Dublin for a significant multiple.